The Church is without beginning, without end and eternal, just as the Triune God, her founder, is without beginning, without end and eternal. She is uncreated just as God is uncreated. She existed before the ages, before the angels, before the creation of the world – before the foundation of the world as the Apostle Paul says. She is a divine institution and in her dwells the whole fullness of divinity. She is an expression of the richly varied wisdom of God. She is the mystery of mysteries. She was concealed and was revealed in the last of times. The Church remains unshaken because she is rooted in the love and wise providence of God. The three persons of the Holy Trinity constitute the eternal Church. It is worth reflecting on the fact that in the Russian tradition, the Day of Pentecost is celebrated as Troitsa (Троица), the Feast of the Holy Trinity. The icon most associated with that feast is the Hospitality of Abraham, which depicts the visit of the three angels described in Genesis 18. There are many cultural and historical forces that have transformed Christian understanding from this life-as-a-new-creation into a path to a pleasant afterlife. Our own fear of death is among the greatest culprits. When the death of the body becomes our dominant fear, the answer we seek is something that makes it not so bad. If I die and then go to heaven, then my fear is relieved. Sadly, we do not fear this present life, even though it is life-in-death and is passing away. Much of what passes for a Christian life these days consists of trying to improve the behavior of our present existence. We want to be better persons and contribute to a better world. As commendable as this is (surely better than being a worse person and poisoning the world), it is not the point of our faith. This is what often sets saints apart from other Christians. It is not that saints are like us, only better. They are not like us. They are like God, having taken up a new mode of existence that transcends (and transforms) the world. This new mode of existence is the manifestation in us of the very life of the Holy Trinity. That life is consistently described in the New Testament as “love.” We have diminished the meaning of this word, in which it becomes either a set of emotions or actions of kindness. Again, these are not bad things, but they are not the thing. In Christ, we see love as the actual mode of existence. “Doing the will of the Father” is, in John’s gospel, a definition of love. It is more than a good action; it is able to sustain body and soul. It is the life of the age to come made manifest in human form. It is this life of Divine love, the life of the Holy Trinity, that is given to us as the new mode of our existence in Christ. His commandments, rightly kept, become the pathway and manifestation of this love and its realization in our lives. And this is the life of the Church, its very heart and reality. It is this that prevails against the gates of hell and stands as the pillar and ground of truth. It can have no birthday. This misconception, from a convert’s point of view , seems to be perpetuated by various retailer’s attempts to sell trinkets etc. that boast of Orthodoxy’s beginnings “2000 years ago.” I’ve seen this theme emblazoned on coffee mugs and bumper stickers, for example. Yes. Well-intentioned, but bad theology as a souvenir. This is very different than what I was taught in a Christian College. There the Church would end at the consummation of all things, and then would be ushered in the Kingdom of God in all its glory (the Church then no longer necessary)…. They were viewed as separate entities. Thank God that now, in the Church, we are in the Kingdom, especially as it is revealed in liturgy. Father bless, I was always taught that Pentecost was the birthday of the Church, but I see and agree with your point. If the Church is the Body of Christ, it is eternal and without beginning. The central point of the Good News that Jesus preached in the Synagogue in Capernaum was the declaration of the Sabbath of Sabbaths, which is what Pentecost was established as a feast to celebrate. The cancellation of all debts and the freeing of all slaves is indeed the Gospel and so the feast of Pentecost is not the beginning but a recognition of eternal truth and life. Short of the consumption are we not called to bear one another’s burdens as Christ on the Cross? I am beginning to suspect that the saints do not live quite the idyllic life as I have tended to think but have such love that they cannot but partake of our suffering and continually offer prayers for our salvation. I cannot begin to imagine what this life would be like but for them. Afout 40 years ago I heard a sermon by a Protestant pastor on the theme of prayer. He said the most arrogant thing a Christian can believe is that prayer changes “things”. He went on using Christ’s own transfiguration: “As He prayed, He was changed” to point out that prayer changes us. Makes us new and different. Not just better. It seems somehow intertwined with the mystery of suffering but I cannot say how. I have to admit that I’ve often been fooled by this superficial view of eternal life. May God grant that I come to see what I truly am in Christ…May we all. Thanks for this teaching Father. I would contest. Christ is eternal, yet has a birthday. Because he was not human before all ages, but as God he is. The Church too, had a beginning on earth, as with everything on earth. While I do agree the Church itself is eternal as the mystical body of Christ, who is eternal, but only at this point in time was it possible for us humans to become members of this body, after Christ’s incarnation, crucifixion, resurrection, and ascension, and the descent of the Holy Spirit on us. Isn’t this why we celebrate All Saints the Sunday right after? Before prior to Pentecost, there were no saints. This is the “birthday” that we celebrate. Profound truth here. I first got an inkling of this fully Orthodox perspective when I read The Mountain of Silence by Dr. Kiriakos Markides. In it, Markides’ guide to Orthodox faith (now the Met. of Limassol), makes a distinction between “the Church” understood as the institution in her earthly forms and structures/Hierarchy, etc., and the more “charismatic” sense of the ecclesia, which does not simply encompass everything, good and bad, that happens under the auspices of the human institutions of the Church, but rather describes the Church in her fullfillment in Christ—her “theanthropic” spiritual fullness and reality in the Communion of Life in the Holy Trinity. I’m so thankful you have clearly fleshed that teaching out here for us. The glimpse offered in the book left me yearning for greater understanding. I wonder. The possibility of union with God came into our existence through the Incarnation, and the Word of God made flesh, has a birthday. The Eternal God in the person of Jesus Christ, has a birthday. The Church is a fruit of the Incarnation, is it not? And the possibility of our union with the Trinity, requires the Incarnation, and the breaking of the curse that also entered History with the angel guarding Paradise. Hence, a conception of Church that is Eternal, and Uncreated, at the expense of Its Humanity in Christ, seems like a quite Monophysite reading of the Church and also of salvation in Christ. These two paragraphs from your article really help me to explain to my non-orthodox friends the Orthodox reality of life. Thank you for this very elucidating explanation, Fr. Stephen. That is how I understand Fr’s words. We often think about the church and God as if God is an object with respect to the church, not included within it. However, if the church is constituted by the Trinitarian community and therefore begins in God, then when is the birthday of the church? To be frank, I don’t understand your monophysite comment. Perhaps you can explain a little more. Yes, Choy made the same point above. 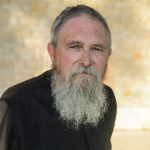 Ben – in St. Maximus’ teaching, we become “uncreated by grace.” The human nature of Christ is “divinized.” It’s not monophysite – but, in the words of Fr. Georges Florovsky, the Incarnation is “asymmetrical.” Too much symmetry yields Nestorianism. But, I won’t quibble about birthdays – with the caveat that those who celebrate the birthday of the Church at Pentecost have something in mind that really isn’t the case. I cannot at all claim to understand everything I read here, and forgive me for my emotional and uneducated reply, but at the current moment the only thing keeping me returning to the Eucharist is the idea, however mistaken, that I will see the loved ones I have lost and that death will only be a transition to another mode of being. I often read things here that lead me to believe that all “heaven” or “the kingdom of God” consists of is some sort of frame of mind or philosophy we live by before we die, and that when we DO die, there is nothing. My greatest fear is the fear of death, and my greatest pain is the death of my loved ones. This anxiety is often debilitating, and if not for medication I’m not sure I could operate at all, and I’m fairly certain that the only thing keeping me in Church is Christ Himself. Forgive me again, as I seem to be throwing a tantrum, but I fear there is no definitive answer to my question: IS there something after death? How very deep. Pray for me, a miserable sinner. My heart aches reading what you wrote. There is not something after death, there is Someone! He is present with you even now. Ask Christ to make Himself known to your heart. He will. “He/she who comes to me I will not cast out.” “Come to me…and I will give you rest.” Words to you, Sophia, from our Lord Jesus. If it is difficult for you to believe, ask His mother’s intercessions. You have no more powerful intercessor than the Theotokos. Many here will pray for you. Sofia, never forget the shortest verse in the scriptures: He wept. The pain and the loss are real. There is something truly destructive at work in the world. The deaths of those we love are genuine losses. Our pain is a testament to the connection they shared in our lives. It is a testament to the fact that they lived and that their lives mattered to those that loved them. In a way, there is something deeply beautiful in that. My heart goes out to you truly. It is okay to experience fear. The scriptures call death the last enemy. If death was just a doorway to heaven it would not be called the last enemy. So, yes, it is okay to experience fear. But take courage Christ has gained victory over death and he shares that victory with us. The pain and the fear tells us that these things are real and they matter. Faith tells us there is hope and that death does not have the final word. God has the final Word. Continue to place your faith and hope in God. As Fr. Stephen has said our suffering is sacred ground. There is something in that worth meditating on. My prayers are with you, sister. Everyone should read St. Porphyrios of Kavsokalyvia’s book, Wounded by Love. Maybe about ten times. Next, I recommend “On Prayer” by St. Sophrony of Essex. One of the complexities of the English language (I cannot speak for any other language) is the way we use the same word to mean very different things. While I believe I am understanding what you are teaching us, Fr. Stephen, your use of the word “Church” here is a prime example. I suspect what you have written would be very confusing to someone who did not already have an inkling of what you mean. #1. We have church as building – this is the most concrete use, of course, which makes it easiest to understand but also least meaningful. #2. We have the Church as human ecclesiastical institution. There is some ambiguity here, as we might mean Orthodoxy, Catholicism or any other gathering of people who consider themselves “The Church” (capital C). This involves a much deeper meaning, with a story in human history, a Tradition, human leadership and an assortment of doctrines and documents. #3. Then we have Church (as you are using the term) to mean the life of God. This is the most profound of the meanings. The life of God has been revealed in human history (to the extent that we are capable of comprehending it) but is not dependent on it, i.e. it has no beginning or end. Thus, there is no history we humans could recount of this “Life”. It has always been. After the disciples received the Spirit, they began teaching of this new Life (not of a new church or a new synagogue) – and, while still human beings, the transformation in them was so striking that some people mistook them for gods. The reality of the new Life is central to our Faith. Without it, we might join any human spiritual sect, live a pleasant and decent human existence and then die (believing in heaven or not). However, calling the new Life “Church”, while true in the deepest sense, confuses because of our other definitions for the same word. Forgive this long – and perhaps unnecessary comment. I appreciate the article and was reflecting on just how difficult it is to use human language when writing of God. What a joy it will be when we are not bound by its limitations! Yes – there is something after death – and the something is beyond anything you will have imagined. The Goodness of God is a goodness of infinite proportion. You will see your loved ones – and see them as never before! Comfort your heart and don’t be distracted by theological writings. Yesterday, as I was beginning the Liturgy, my little grandson was just outside the Royal doors and I could hear him. It took my mind back to a time, in my Anglican years, when my parents (now deceased) were members of my parish. They, my wife, my three children (at the time) were all on a single row in the Church. I knew that I was leaving that parish in the near future – and my heart ached – knowing that I would lose the fullness of my family in such a manner. But yesterday, as my heart turned to my grandson, I became not only aware of my son and his wife, who were there as well, but all of my children, and their children, and my parents as well. That fullness was even greater than what I had known those many years before. I know that what I experience now is only a shadow of something to come – but the tangible reality of what is to come is a certainty in my heart – and a certainty that it will be greater than I can possibly imagine. I pray God that my writing would never make anyone doubt that reality – but only to know that it is even greater and more real than they imagine. I share this experience simply to say that my heart is no different than yours – I long to see them again and to know them in the fullness that is only possible within the Kingdom. “But if Christ is preached as raised from the dead, how can some among you say there is no resurrection of the dead? If there is no resurrection of the dead, then neither has Christ been raised. And if Christ has not been raised, then empty [too] is our preaching; empty, too, your faith. Then we are also false witnesses to God, because we testified against God that he raised Christ, whom he did not raise if in fact the dead are not raised. For if the dead are not raised, neither has Christ been raised, and if Christ has not been raised, your faith is vain; you are still in your sins. Then those who have fallen asleep in Christ have perished. If for this life only we have hoped in Christ, we are the most pitiable people of all.” (1 Cor 12-19). St. Paul tells us clearly that Christ was raised from the dead and that there is resurrection for us and our beloved dead. Do we understand what this will be like? No. Is it easy to believe? Not all of the time. But hold onto this truth and let it teach you. I also pray that God leads you to someone who can help with the anxiety – I know how paralyzing that can be. The Eucharist will feed you – if you feel there is some reason you should not partake, please discuss this with your priest. We need Him to nourish us the most when we are lost in fear and doubt. As someone noted in a comment earlier, one writer, quoting an Orthodox elder, used the Greek “ekklesia” whenever they meant meaning #3. Because we live in a secularized culture (not non-religious, but everything reduced to flat-land literalism) – meanings 1 and 2 dominate and probably always will. My own thought is that the proper use of the word Church – is #3. And it’s ok to shake things up from time to time by using it properly. Language is, from time to time, a matter of ongoing negotiations. Simon, Dean, Mary and Father, thank you and bless you all for your prayers, and for sharing Scripture, Christ and Truth with me. Forgive me for letting emotion and anxiety take over. On the contrary – to reach out, even with fear and anxiety, is better to withdraw with fear and anxiety. Together is the only way we get through any of these things! Thank you for your beautiful comment. Many people in my life have suffered unimaginable tragedies in the last year (well, they were unimaginable until recently…and I’m not speaking hyperbolically). To say the grief and anxiety are suffocating after these losses is an understatement. If I ponder on the many losses for too long I am overcome with a crushing terror of what God has in store for the future, not only for me, but for all people. Not exactly holy thoughts, but they are something I live with. I just wanted to let you know that I share your feelings. When I read anything too lofty for my understanding, or that has any hint that we won’t ALL be reunited in Paradise, it’s like my soul has a tantrum, screaming that the author is very, very mistaken and just doesn’t understand what beautiful people God has created. Every one of us. Thank you for all of your wonderful words on this blog. You have helped beyond measure. The stuff that crushes us is the stuff of life. I don’t know why that is…but it’s true. You are closer to Life now than you were before. Maybe if we knew why it works out this way it wouldn’t matter. I think the sooner we accept as a matter of fact that it is, the sooner we can turn our suffering into depth and strength. For whatever it’s worth I am with you, sister. Thank you Father for another very beneficial article. I feel that our Orthodox Faith is apocalyptic (it reveals). So if anything, at Pentecost the Church is more emphatically revealed, received and lives in the hearts of men. It is the revelation of the Trinity. Perhaps we could say it is the Birth of the Church in us, in other words we are reborn (in the Orthodox understanding). We were dead but are alive again, blind but we now see etc. The Church of course always was and always shall be, without beginning and no end. It is the womb that nourishes all those who strive for closer union with God. The Church gives birth to Saints. There are many things we don’t understand in this life, but what a great revelation that God in Trinity is Community, and that He wants to live with us, and us with Him! To the degree that He even died for us! Father, that paragraph deserves expansion–an article or two or three. I look forward to you doing so. I understand that “He (the Father) alone possesses immortality and lives in unapproachable light,” and that we humans do not possess an “eternal (everlasting) spirit”, rather it is God who gives life to our spirits, and that just as we are raised in baptism to a new (kainos) life so will we be raised/resurrected/stand again in Christ when he appears…however, to ask as a child, where am “I” after death? Fr. Stephen, you are welcome to delete this comment if you feel that is best and/or correct any errors in my writing. We often think about the church and God as if God is an object with respect to the church, not included within it. However, if the church is constituted by the Trinitarian community and therefore begins in God, then when is the birthday of the church? I once told a person that we cannot compartmentalize different parts of the faith. It is cut of whole cloth and all things are rooted one in another. His surprise, emphasized by an unwilled smirk of sorts, was obvious. I have also stated this to others online and received the same type of reaction. 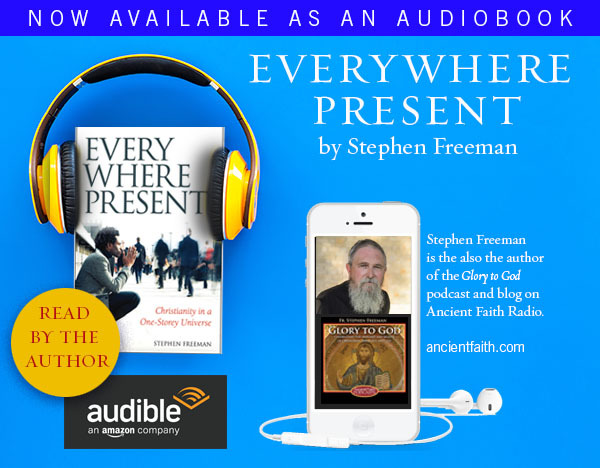 The human tendency is to try and separate things down into their component parts and divide them to try and understand them better, but perhaps part of acquiring “an Orthodox mind” is to understand them together and realize that God is “everywhere present and in all things”? Thank you again for your words and prayers. I am trying to learn to suffer well, and what better way by suffering, I suppose. Thanks for the fun interview story. Did you get the job? And more importantly, how did he answer you? 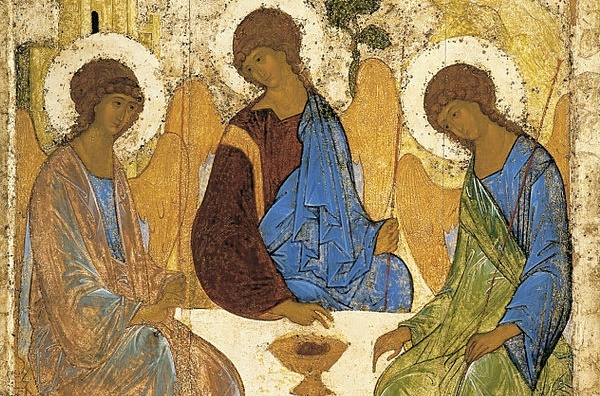 Since God is Trinity, the Church has always existed. Anyone in communion with God is in the Church. The angels who remained righteous, Adam and Eve and their righteous descendants, and all of the righteous until the time of Christ are part of the Church. In a lecture series by Fr. Steven Allen, he says that the religion of the Old Testament was not Judaism, but the Old Testament version of Orthodox Christianity. That blew my mind. The letter to the Hebrews makes that clear, though. There is an episode way back in Numbers when the Israelites are sick of manna and want some meat and Moses is having one of his, “Oh, God, kill me now,” moments. God tells him to appoint 70 elders to minister to Israel and the Holy Spirit falls upon them and they start to prophesy. Two of them are prophesying where they “shouldn’t” be (outside the Tabernacle) and Joshua asks Moses if he should stop them. Moses says he wished that the Holy Spirit could make all Israel prophesy. Pentecost is the fulfillment of that and it would go on to include Gentiles. It’s the revelation of the completion of God’s “expansion plan” for the Church. Dispensationalists like to consider Pentecost as the Church’s “birthday,” but it’s the wrong way to look at it and it artificially divides the Old Testament saints from the New. While I think the content is almost all quite good, I find the first paragraph misleading and dismissive. What are the “certain circles”? It can only be wrong to refer to the Day of Pentecost as the “birth of the Church” if it is also wrong to refer to the Nativity of Christ. Such usage is perfectly acceptable Orthodox usage, and it no way suggests that the Church didn’t — in some sense — exist before the Day of Pentecost, no more than referring to the Nativity of Christ suggests Christ didn’t exist before his birth in Bethlehem. This understanding of Pentecost as the birth of the Church, which one finds, for example, in Fr Thomas Hopko (Rainbow Series) and Fr Dmitru Staniloae’s _Dogmatic Theology_, no more “tends to render the Church as something it is not” than the liturgical texts for the Nativity of Christ tend to render Christ something he is not. Byron, reductionist Orthodoxy:. God is, we are not except by His grace. Anyone in communion with God is in the Church. Stupid question time: how would you explain the difference between this and the Branch Theory that protestants hold (the Branch Theory considered heretical by the Orthodox Church)? Ultimately you are correct regarding ‘the team’. But the university often runs like a feudal system and profs with grad students often want to be lords. You answered well (IMO) and your response should have been accepted with a laugh. If this wasn’t the response you received, my advice is caution. Be delicate, but I don’t mean to say acquiesce to bad behavior, it’s just that the prof might be cautious himself and might not want to invite ‘a headache’ into his group if he already has a few to many already. Forgive me Fr Stephen, for writing notes to Simon. And I realize how clumsy I wrote my last comment. I’m sorry Simon, I don’t mean to suggest that you are a headache, rather, if the prof doesn’t know you, he’s just trying to sort out whether you are. Just be delicate is all I’m saying. “Certain circles” would be mainline Protestant Churches who turn it into a birthday party. While I think there is indeed a sense of the Church’s birth at Pentecost – it is not reflective of the liturgical texts. But your point is noted and I thank you. In the opening paragraph I said, “It is perhaps true, in some sense…” I think that pretty much captures my point. This means that only with baptism and living a sacramental life in accordance to the commandments, makes it possible to enter the Church and remain in it. The sacraments are only valid in the Orthodox Church and anyone who believes that they are not required for salvation is sadly deluded. Ecclesiology is an impossible conversation with Protestants, for one. The reason is that they have no ecclesiology other than some things that were thought up quite recently. They seem to have overlooked the question. Ecclesiology is a serious discussion with Rome, for example, in that there is more common ground. The exact ecclesiological status of being in schism is problematic – because it is something that is not supposed to exist. It is a dangerous position to be in – but I’ll leave that to other heads. Any attempt to speak of the Church in non-concrete terms (whether “branch” or “invisible”, etc.) are neologisms and have no place in the Tradition. The Church is One, precisely in the manner that God is One – it’s the same One. It is the most problematic aspect of Christian thought, I think, a reveals our sins like almost no other topic. “Valid,” is, essentially, Latin language, not common within the Eastern Fathers. While it is true that the Orthodox Church is the One Church, you seem to make some black and white mistakes that are not consonant with the Fathers’ of the Church treatment of the reception of converts from heresies and schisms. It’s not a point I want to argue here – but there can be a gross over-simplification that winds up saying more than should be said. May I ask why you answered Byron that there is only One Church (in the manner that God is One), but to Nikolaos you said that it is an “over-simplification” to say the sacraments are only true/valid in the Orthodox Church, and only there they will lead to salvation? I don’t understand this and would really like to. Are we just being polite here, not wanting to offend the readers who are not Orthodox? I feel like this is the most important life question everyone has to answer for themselves, the most important life choice to make (to be within or outside the One Church that offers salvation) – and why you work so diligently writing and answering questions, to bring everybody into this Church? Is there another way to look at it that I am missing? Forgive me, and delete my question if it is too inflammatory. I do not fully grasp the meaning of your reference to black and white mistakes, but as you say it is not a point to be argued further here. More relevant to the article’s title, would you please clarify my understanding ? Could we say that in a sense Pentecost is a birthday of the Church, in so far as it is the moment it becomes the body of Christ ? I wonder how the Prophets of the OT differ from the Saints of the NT. They must all be at the level of theosis, but the Prophets were still captives of death, where, after Christ’s resurrection death is defeated. The partaking in the human nature of Christ on Pentecost is a birthday then is it not ? To Byron’s question on “Branch Theory,” those who espouse it are…out on a limb. It’s really trying to mold God around a model that He never explicitly approved. I’m not even “officially” Orthodox as of yet, but I totally get Orthodox ecclesiology. There was one original Church. It did not improve by growing all sorts of new “branches.” That has only brought confusion and inconsistency. There are practical realities, though, such as the fact that in many places, the only “Christ” people are going to hear preached will come from heterodox denominations. Can God not save anyone in that situation? I’m not going to assume anything there. God is good at making the best of bad situations. He knows what we’re looking for, but we sometimes don’t find it while on this earth due to circumstances beyond our control. It’s difficult to speak with precision about things such as the saints in Old or New. Think of the Icon of the Resurrection. What takes place there occurs in the icon within a “mandorla” a symbolic depiction that is almost like a parenthesis. It is used for the icon of the Ascension and some other places as well. It means that we are painting something that is beyond our ability to paint – we are depicting what is true – though there is no eyewitness account. Words fail. In the Resurrection – Christ frees those held prisoner. I think it’s probably a mistake to think of that in chronological or linear time…such that He needs to make multiple trips back and forth everytime someone dies, etc. It is one single, eschatological event, once and for all time. Or that’s how I think about it. As such, I would make no distinction between the saints of the Old and the saints of the New – certainly not now. They have now seen what they longed to see. They have been fulfilled. Nicholas, not to be contentious but what if St. Paul had been set upon by robbers and killed before he got to Annanias to be baptized? Or more pertinent: I met Jesus Christ on a hill in northern Illinois 50 years ago. Twenty years later I was received into the Church. Now I know I was protected during that time from spiritual death and on one occasion from physical death. But where would I have been if I had not listened and died? Do not really expect any answer nor do I have any answer but these two possibilities and many others of which I know always tickle the back of my mind as I consider such propositions as a person’s fate outside the Church. In my case I was still a heathen for those 20 years and in a place where heresy was taught, unknowingly but still heresy. Yet I am adament that there is only one Church and as crazy as we are that is the Orthodox Church. It’s a matter that’s easy to be misunderstood. “One” is used in the Creed to say, “I believe in One God…” and “and in One Lord…” later to say, “One, Holy, Catholic…Church, etc.” It’s the same word with the same meaning. What becomes problematic, having said that, is to speak accurately about Christians who are outside the canonical boundaries of the One Church. First, there is more than one way to be outside those boundaries. For example, in the common practice for most of the Orthodox, the Oriental Orthodox (Copts) are received by Confession only (not re-baptizing or re-chrismating). Others are received by Chrismation, some are required to be received by Baptism. These, I think, should be understood as examples of the Church’s economia – it’s generosity in how it is going to receive those Christians from outside. There were even heretics who were received without a re-baptism. Basically, the Church did not think in extremely careful terms of “valid” “invalid.” By receiving someone baptized outside the normative, canonical life of the Church, the Church is not making a statement about the nature of what occurred. It is saying what will be required for them to be admitted to communion, etc. There are some, including a friend or two of mine, who are strongly of the mind that we must say that these events are invalid. They would also urge that the Church should require re-baptism of all those coming into the Church. But this has not been the practice of the Church for ever so long – including back within the 4th century. I think we have to say that we don’t have a theological account for what the status of sacramental actions are outside the canonical bounds of the Church. I am comfortable with not being able to say certain things. We can, however, certainly say what is true. The Church is One, Holy, Catholic and Apostolic and that Church is the canonical, Orthodox Church. It’s just when we start saying more than that the trouble begins. But when I read Nikolaos’ comment “…and anyone who believes that they are not required for salvation is sadly deluded.” I think of the Eucharist… This is a much more difficult “sacrament difference” to reconcile, isn’t it? Either we understand the Holy Communion as partaking of the Resurrected Living Christ (as He commended us), or not – there is no grey area here, is there? That is how I mean that every person has to decide for themselves (and not speculate about others, and how God will deal with them). Once we know, we cannot pretend like we don’t… (if we are to be genuine in our stand before Christ). Drewster, no, I was not accepted for a rotation. I kind of knew that I set off red flags by the look on the his face. I don’t have any regrets about it. As far as what he said next I don’t remember. But, I do remember the look on his face! Dee, no worries!! I know that he placed me in the headache category right away. And he was right to do so. We would have had problems. It worked out fine. There is no grey area with baptism neither. It is the Orthodox Church that validates ( forgive me father but I have no better word for this ) the non-Orthodox baptisms. In Mount Athos they will always re-baptise a heterodox. I trust the fathers in Athos because they live the faith free from political pressures. I recently paused a question about a Godson of mine who was Catholic and admitted to Orthodoxy with just the Chrismation. I was told that they’d be ready to baptise him without repeating the Chrismation. This is how important the full immersion baptism is. I share your thoughts and and these questions revolve in my head as I pray for the members of my family and friends that are not Christians. I think that for any unbaptised person, St Paul’s Romans 2:12-15 gives some comfort. Thank God I do not have to discern. With my experience though I tend to come down on the Baptise every one–just in case. I like the term “fulfills” rather than “validates”. Perhaps that will work for you, too. The whole sacramental life of the Church is that which “fulfills that which is lacking” in each of us, and this can only be because Christ Himself is in them. Since He by His Spirit is also “everywhere present filling all things”, we know where someone is willing, He will find a way to present Himself to them, though we cannot say exactly how. When we know and become aware He presents Himself to us in the sacramental life of the Church and we desire Christ, we will make every effort to unite ourselves with Him there. I do not want to argue about any of this (re-baptism). It is not the Athonite practice to do anything like immerse someone who has been chrismated and communed. There have, in the past, been some strange issues regarding this. However, I was just there this past Fall. We communed, were invited to concelebrate, etc. The priests in our group were, to a man, persons who had been received into the Church through Chrismation. Forgive me, but this is important. Athos is a holy place, but to imagine that the monastics there are “free of politics” is a fantasy. It is also a fantasy to say “the monks on Mt. Athos.” There is a diversity of opinion on some matters there, just as there is elsewhere in the Church. There is even one entire monastery (Old Esphigmenou) that is in the hands of a group of monks who are in complete schism with the rest of the mountain. They are tolerated simply because they could only be removed by violence. Better to let them die out, I suppose. But Esphigmenou, one of the ruling monasteries, has now been reconstituted by monks from Athens in a different location on the Mountain. But – and this is utterly essential – the good order of the Church, particularly her sacramental order – belongs to the Bishops. A priest is nothing apart from his bishop. If a bishop is in error, there are proper, canonical means for correction or even removal. The Holy Mountain is under the omophor of the Patriarch of Constantinople. It is possible to criticize him, but when he visits the Mountain, he is rightly received, and celebrates the Liturgy, etc. It would be the height of hypocrisy to treat him in that manner but despise his God-given authority. There was a monastery on the Mountain that was forbidding clergy who had not been received by re-baptism to concelebrate or take communion. That has been corrected and is no longer the case, I am told. Baptism is not magic. There is a proper order. Baptism/Chrismation/Communion. If someone has been received by Chrismation and admitted to the Cup, they have obviously been “Baptized” in some manner beforehand. But to immerse someone who has previously been Chrismated and admitted to Communion is an error and a gross misunderstanding of the nature of the sacraments. This practice has been condemned any number of times by any number of Bishops. If it were to continue, it would eventually result in a schism of the Church. There is not a single Synod of Bishops within Orthodoxy that teaches this practice. Not to say that there is no bishop whatsoever, acting on his own, who might do so. But the good order of the Church lies in the teaching and governance of the bishops – not just one bishop – but all the bishops. Orthodoxy is not just something that we get to make up on our own, through our own opinions, not even if it is a monastic elder. It is the Church, and its proper hierarchical order, ordained by God that teaches and orders our life. Arguments, articles, discussions, etc., are always a part of our life. But when argument proceeds to sacramental action, without the approval of the hierarch, then it is gross disobedience and Protestantism. This practice caused a serious schism at a certain point here in the Southeast, and more than a little suffering on my part (and my mission) in our early days. Sacraments belong to the good order of the Church – they are not independent of the hierarchy, nor practices to be wielded by priests according to their own opinion. The manner of the reception of a heterodox convert into the Church belongs solely to the discretion of a Bishop. Priests submit those questions to the Bishop for his direction. A priest, of himself, has no authority to receive the heterodox into the Church – only as he is instructed in obedience to the bishop. That is the canonical order of the Church. Anything else would be chaos. And, since it does take place, we can look at its fruit – the fruit is chaos. That chaos will not produce sanctity, no matter how well-intentioned. Forgive me for my frank statement regarding this. But it’s important. I will add, that my own hierarch, Archbishop Alexander of Dallas and the South, is a monastic, a monk in good standing of Simonapetra on the Holy Mountain, and a disciple of the Elder Aemelianos. I truly appreciate your frankness, Father. The internet is unregulated and has no canonical order. I fear that many ideas and practices, not properly submitted to our bishops, are put out there as though they were the wisdom of the Church. I avoid ecclesiastical politics when at all possible. But it is important, I think, to remind ourselves from time to time what actually constitutes good order. We are not Protestants – a constant society of debate with everything up for grabs. No area of the Church is immune from delusion or deception. Heresies, some quite famously, have come out of very serious monastic sources. Nothing guarantees immunity. The good order of the Church is based in love and mutual submission with proper regard for the order God has established. It requires patience and understanding and goodwill above all. When these matters are debated on the internet (and elsewhere), what I fail to see is anything being issued with the authority of the Holy Synod of any canonical local Church. Only occasional lists of clergy on petitions and the like. When matters are truly serious – and of God – then we will hear from the order God has established. When there were concerns regarding the Council in Crete two years ago (and I think there were very valid concerns), what did we see? We saw very clear, formal statements from a variety of Holy Synods, stating their objections and concerns. That, to me, constitutes a real and serious matter. But private opinions, no matter who is quoted or cited, are just that. They should in no way be allowed to upset the good, canonical order of the Church. Fr Stephen thank you so much for this clarity. The internet is also used for bullying and aggressive behavior as well, in its varied shades, which without your guidance might obfuscate our needful direction. I can’t thank God enough for your ministry. Actually, in the case of the Copts, this is not economy but strictness — Canon 95 of the Sixth Ecumenical Council provides that “Monophysites” are to be received by confession only. People often speak as if receiving other Christians by chrismation alone or confession alone are instances of economy, when both are methods prescribed by Canon 7 of the Second Ecumenical Council and Canon 95 of the Sixth. Indeed. Thank you for pointing that out. I just looked up Canon 7 of the 2nd Great and Holy Council. Even the Arians were accepted by chrismation only, after renouncing their errors/heresies. That’s very notable especially when the Arians saw a time when Christ was not and had not received trinitarian baptism. Thank you for succinctly writing of how our Church is one of order, following our bishops. If we do not then we easily succumb to a form of Protestantism. I know you asked this question of Fr. Stephen, not me, but I would like to add a comment or two – completely respecting the response Fr. Stephen gave you. I believe that, through God’s great mercy, I am in the One Church, the Body of Christ. Yet I am not in communion with the Orthodox Church as an human ecclesiastical institution. I am a Roman Catholic, baptized 10 days after my birth, confirmed as a child and consecrated to God as an adult. Still a sinner, no doubt, but I am His. I have great love and respect for Orthodoxy. I have sometimes said that I am both Catholic and Orthodox. Of course I acknowledge the absurdity of so saying – because in this world, at this point in history, I cannot be simultaneously in communion with both ecclesiastical bodies. However, I believe deeply that, in the Life of God, no such division exists. Christ has only One Body. We do not say He has One body as a way of excluding others, i.e. to say who is NOT in the Body. Rather our insistence that He is One Body is a way of anticipating our life in full communion with Him and each other. Our divisions, our opinions, will cease to matter once we enter the fullness of His love. C. S. Lewis once wrote of the impossibility of counting the number of Christians in the world at any point in time – given that some who call themselves Christians are gradually becoming less and less Christians, while others, not identifying themselves as Christians, are gradually become more and more close to Christ. In the spirit of Lewis’ wisdom, I would venture to say the same of Orthodox and Catholic Christians. Some who are technically in communion either ecclesiastic institution, may be gradually becoming less and less Christian or (hopefully) more and more. I emphasize this point because it is otherwise far too easy for any individual, Orthodox or Catholic, to think: I am a member of the One true Church with the only sacraments that will lead to salvation – and everyone not in my church (as ecclesiastical institution) is not. This can be spiritually dangerous thinking on a number of levels. First, I may begin to think that salvation comes from church membership, rather than from living one’s life in God and accepting the gift of His salvation. Further, this line of thinking might be used to presume limits on how God can save – or to judge the status of another’s salvation. I do not mean to suggest that it makes no difference which church (ecclesiastical institution) one signs on with. I love Fr. Stephen and believe God has called him to do exactly what he does so beautifully here. But I also believe that God has called me to remain in the Catholic Church. And this is not an assertion I make lightly. I do not claim to understand God’s ways, only to discern and follow them as best I can. I am not trying to stir any controversy – only to share. May our love for God and one another supercede all else. I don’t know what all this means for others who are not Orthodox (if Orthodoxy is the One True Church), all I can do is thank God I’m in it and to pray for all who are not. May He save us all, since He is the only One who loves mankind. Thanks, Agata, for sharing a bit of your own journey. Our task is to follow our Savior with all of our hearts. And pray always. I’ll refrain from controversy as well. However, one statement needs a bit of pushback. Mary said, “First, I may begin to think that salvation comes from church membership, rather than from living one’s life in God and accepting the gift of His salvation.” We cannot separate the two. I do not have a life in God that is not also a life in the Church. The life in God is given to us as life in the Church. A problem of modernity – within which the multiplication of Christian Churches is a strong feature – is the tendency towards a mistaken individualism. The fragmentation of Christian life has helped promote this because it is an insanity and absurdity. At the Reformation and in its aftermath, we must see that a huge drive of Reform was anti-ecclesiology. The reality of One Church (with all its flaws) came under unrelenting assault until we have reached our current pitch of madness. And so, we are confronted with absurdities. Mary, good and faithful Catholic, stands looking at Orthodoxy and her Orthodox friends and is forced to contemplate absurdities. Schism is an absurdity – but real. It is among the reasons why it is bad and is something to be overcome, if God makes it possible. Saying that is not to try and solve the unsolvable. It is to say, that we must speak rightly about the Church (which can only be spoken as if there had never been a schism – there is not an ecclesiology that is correct and includes schism). And having spoken correctly about the One, we must acknowledge that we stand in the face of absurdity – the work of human sin – and resist every attempt to resolve the absurdity by creating a new ecclesiology. When I write, I write as an Orthodox Christian and speak in the same manner regarding the Church as the Church has always spoken of itself. That an absurdity surrounds it is also the case. That absurdity is the madness of sin in the form of modernity. “Who is it then?” say I. And I said to him, “Why then is she an old woman? I would love to believe that personalities and politics don’t inform who is in schism. But I think that would be naive, which just leaves a person with a less submissive disposition to wonder…who is it that is really is schism? Especially when the issues over which the allegation of schism is leveled seems trivial. “issues over allegations of schism (…) trivial”? “person with a less submissive disposition”?? I am sorry, but this is even more strange to read than the tale of “an old woman for whom the world was made”…. The world was made for the Most Holy Mother of God, so that the Son of God could be born of Her for “us and our salvation”… People seem to believe every other possible bizzare’ness and invention, except The Truth…..
Actually, the conversation is far more sophisticated than internet conversation. Both the Orthodox and Rome have had serious conversations for years – well beyond any stage of name-calling and finger-pointing. There is a very serious understanding of the complex history. Those conversations continue – with fits and starts. What is naive, is the popularized nonsense that we see most of the time. But, it is equally naive to suggest that the problems are not real, or not important, or trivial. The people involved on that serious level are not trivial people. The story of the “Old Woman” is from a 2nd century Christian writing that was greatly prized by the fathers. It was not the Mother of God that was intended in that image, but the Church. Of course, the Mother of God is a type of the Church as well. I suspected I was exposing my ignorance and poverty commenting on that.. I am glad to hear it’s a prized story of the Fathers. So we are not applying these rules and economias to the same kind of humanity (of which I am a prime example, not knowing much and being much less spiritually educated than my grandparents were). You are 46, I am 50. All our doubts and questions will be answered in 50 years or less…. I’m not Orthodox yet, but I’m no longer a Protestant. If I can’t trust that the Holy Spirit has guided the Orthodox Church correctly through centuries of persecution, heresy, and sometimes incomplete or contradictory theological discourse among its own bishops, then there’s no hope of finding any true church. I’ve read a little bit of the early Fathers, but only to see how certain critical beliefs (like the Eucharist) were dealt with at that time. The Fathers aren’t perfect. The Epistle of Barnabas has a really crazy statement about the sexual practices of rabbits that would make a scientist blow coffee out his nose. Origen had some thoughts about the soul and hell that were condemned some time after his death. I have no real choice but to trust that the Holy Spirit guided the bishops and laity to the right conclusions. I’m a fool if I think I can figure it out from 21st century America. Those people heard the Apostles or their successors. They were speaking, reading, and writing about the Scriptures in the very language in which they were written. They didn’t have to worry about translation problems or linguistic evolution. Nobody is going to be in a better position to get it right. I’m not going to try to repaint the Sistine Chapel. To make a long story short, I’m [not] intimidated in the least by the task of doing some theological archaeology. I didn’t mean to state that one should be intimidated or even simply not read the Fathers. I have just found that my type-A tendencies, so prized and useful during my protestant years, are much less useful in discerning Truth than I once thought. God provides. The greatest changes in my own heart come from learning humility (which I have yet to really learn) and attending the Liturgy. These two things alone can take a lifetime, I think. But they are guaranteed to conform one to the likeness of Christ, our God. This does not, of course, rule out any path of study anyone else wishes to travel. I would flee that kind of private parsing of doctrine (that the protestant entitlement of mind has no problem with) without constant daily access to a discerning (speaking of charismatic discernment here) father like a plague or a demon. I think you’ve got a lot of wisdom in this. I’ve deleted most of the string on the topic as pointless. I think your comment stands nicely on its own. But, I’m not interested in a continuation within that train of thought. Hope others here enjoy this too! That is so true. It is so good to hear this said! I never liked the stickers that stated Orthodoxy Christianity 33AD, because it denied the very Creed we believe in. Orthodoxy (right and correct belief mixed with our Creed) means Orthodoxy has no beginning or end. It’s always and forever in existence. Thank you for bringing that to the forefront. It really needed to be said. I just don’t understand why it wasn’t corrected when people started saying that a long time ago. Old Russian legend about three recluses who lived on an island and led the simplest of lives. Their only prayer: “We are three, Thou art Thee; have mercy on us.” Even so, they were reputed far and wide to have performed miracles. Lord have mercy on us . . . Because I’m sure I see clearly . . . I am blind.